LAS VEGAS (Saturday, January 25, 2014) – The field for Sunday’s Final 50 Tournament is set after Day 2 at the Daily Racing Form/NTRA National Handicapping Championship (NHC) Presented by Racetrack Television Network, Sovereign Stable and Treasure Island Las Vegas concluded with Day 1 leader Jose Arias still on top, holding a $326 bankroll. The highest score on Day 2 races went to Nick Alpino with $206, good for a $6,000 bonus, as well as paid Breeders’ Cup Betting Challenge entry fees, live bankrolls, airfare and hotel. Alpino’s big Friday moved him up to second overall with $279.20. 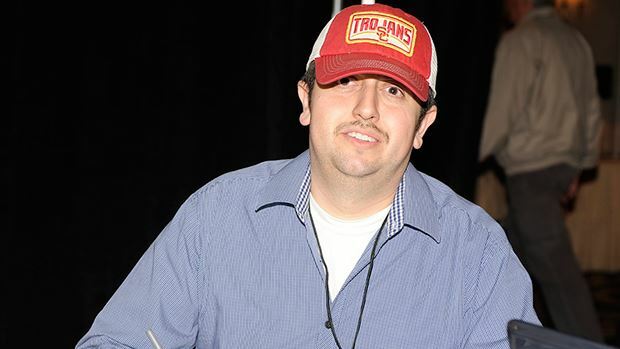 The rest of the current overall top 10 is rounded out by Christopher Skotz ($267.80), Michael Piccola ($248.40), Tony Brice ($239), Lynn McGuire($234.20), Mike McIntyre ($232.80), Trey Stiles ($225), Dennis Dougherty ($209) and Glenn Yee ($207.40). Just as he did Friday, Arias, a 36-year-old environmental safety engineer from Bell Gardens in Los Angeles, repeatedly uncovered live longshots at his hometown track. His biggest hit of the day came in Santa Anita’s ninth race, the California Cup Turf Classic, as Weewinnin came through to pay $44.80 and $22, though for NHC purposes payoffs are capped at 20-1 ($42) to Win and 10-1 ($22) to Place. While the bulk of his bankroll has come from plays on the California tracks he knows best, Arias is confident he’ll be well-prepared for the morning’s Final 50 contest with races limited to five tracks east of the Rockies. The top 50 players now carry their bankrolls over to the Final 50 tournament Sunday morning and the resulting top 10 will play at the Final Table that afternoon to determine the ultimate placings, including the $750,000 grand prize and Eclipse Award winner. Players outside the Final 50 will compete in a separate $75,000 Consolation Tournament on Sunday with reset mythical bankrolls. Each individual player is allowed only one Final 50 entry, even if they finished in the top 50 with multiple entries, as James Michelson Jr. and Richard Mueller did. Instead, Michelson and Mueller will each receive one entry in both the Final 50 and the Consolation tournaments, along with $2,500 bonuses for having two entries in the top 50. The players who ended today tied for 51st, Jamaal Barnett and Rich Nilsen, move into the Final 50 field. Also qualifying for the Final 50, in descending order by current placing, were Craig Hom ($207), George Chut($204.20), Joel Wincowski ($202.80), Francis Boustany ($202.60), Dan Shugar ($202.20), Daniel Kobalesky($200.60), Don Allen ($199.80), Sam Alipio ($197.80), Robert Bertolucci ($197.60), Chris Littlemore($196.60), Paul Parker ($196.20), Jose Raphael ($193.80), Richard Mueller ($193), James Michelson Jr.($189.60) and Robert Lowe ($188.50). The remainder of the Final 50 players include Joe Whitacre ($186), John Wilhelm ($185), Timothy Row($183.20), Paul Shurman ($183), Jose Suarez ($183), David Snyder ($182.80), Allan Sadler ($182.80), Amy Brantley ($181.80), William Zvara ($181.60), Benjamin Beychok ($179.80), Jim Simms ($179.80), Jim Onail($179), Robert Schwartz ($178.60), Burt Shapiro ($178.40), Michelson (second entry, $178.20), Ryan Flanders ($178.20), Paul Hoffman ($177.20), Jeffrey Wright ($175.90), Wendy Long ($175.60), Jason Hill($175.60), James Amedure ($175.40), Judy Wagner ($174.40), Terry Wraight ($174.20), Gary Johnson($173.90), Mueller (second entry, $173.60), Nilsen ($173.20) and Barnett ($173.20). The top 50 finishers are guaranteed a $4,000 prize at the end of Sunday. The $1.47 million prize pool for the Final 50 starts with $4,000 for 50th place and increases to the three-quarters-of-a-million grand prize for first place. To get to this point, the 500 NHC entrants were required to place 30 mythical $2 Win and Place wagers – 15 on Friday and 15 on Saturday. This is the first year with a three-day format including the Final 50 and Final Table. The Final 50 Contest will be comprised of three mandatory races and seven optionals. The 10 that make it to the Final Table will all play the same five mandatory races. The full current standings, as well as Sunday’s mandatory races, can be accessed at ntra.com. The top five scorers based only on the Day 2 races earned bonuses. Beyond Alpino, those players were George Chute (Sunday score $172.20; $5,000 bonus), Sarah Wiener ($160.80; $4,000), Lynn McGuire ($152.80; $3,000) and Jose Suarez ($144.60; $2,000).